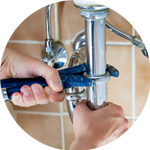 If you require a Plumber in Hammersmith, our team of expert plumbers will be at your door in no time to help you with all your plumbing needs. 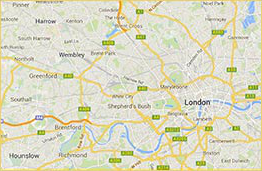 We cover the whole of London in our yellow scooters and have been doing so since 2005, so you can be rest assured you are in good hands. 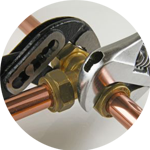 Need a tap replaced, a shower installed or leaking pipe repaired? Don’t worry, we are here to give you a hand. 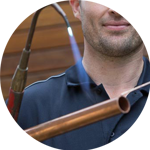 Why not give your local Hammersmith Plumber a call? Located in the London Borough of Hammersmith and Fulham, Hammersmith is one of the thirty-five major centres in Greater London. It is bordered by Chiswick, Fulham, Kensington and Shepherd’s Bush. Even though Hammersmith is mainly seen as a commercial centre, it has a lot more to offer. Its best attraction is the river walks by the River Thames. Besides walking by the river, the riverside has rowing clubs, pubs and the Furnival Gardens. Hammersmith has been home to the West London Penguin Swimming and Water Polo Club for many years. No job is too small nor too big for our skilled London Plumbers. 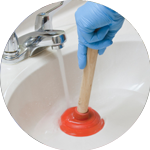 From installing new plumbing fixtures, such as taps or water pumps, to replacing sinks or showers, we are here to give you a hand. Looking for other Handyman services in London? The Handy Squad offers a variety of other services, including home makeover, decorating services, locksmith services, electrician services, moving services, among others.